Finding the perfect 'piece' of furniture for your home is as much about how it 'feels' in your home, as it is about the piece itself. Does it 'feel' right in the space you've lovingly prepared for it? But perhaps more importantly, how does it make you 'feel' every time you walk past and notice it? COME AND VISIT US IN THE SHOWROOM. Come down and speak to someone who can really help you create your perfect Hometime space, grab a coffee and share your vision with us. We are open: Monday to Friday 10am to 5pm Saturday and Sunday 10am to 4pm and don't forget to for heaps of great contemporary furnishings. Hometime is also a time of day, a time when you can thrive and relax. At Bauhaus we understand that unique pieces of furniture can complement these hometime feelings. In one room you might be a 'matcher', where each piece is carefully collated in a harmonious blend but in a different room you might give rein to your eclectic spirit where different design styles exist together. 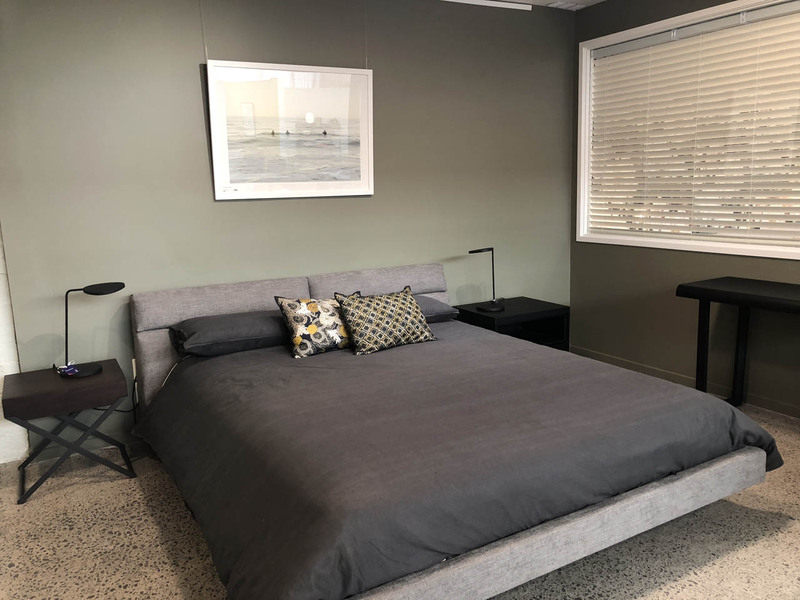 When you visit our showroom, 19 Shipwright Lane, Parnell, you can take in some of our own ideas, settings we think each piece thrives in and gives you a sense of what's possible. 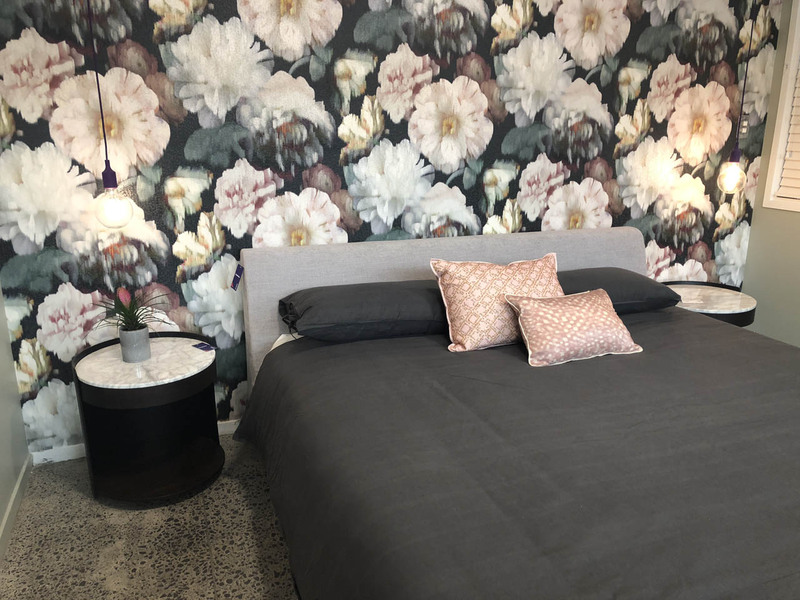 Our Floral Bedroom features Black Edition 'Romo' wallpaper, created for the luxury interiors market. Its sophisticated textures, innovative weaving techniques and artisan effects blend with a visionary colour palette. This bold wall design is offset with an 'Alison' Camerich Bed enhanced with two beautiful round marble topped Harmon bedside tables. Our second bedroom is finished in the Dulux Cloudy Range and is the perfect backdrop for the 2018 launch of the 'Armor' Bed by Camerich. It features a double folded tight back design. The room is finished with an Enzo side table and Muuto Leaf Lamp. 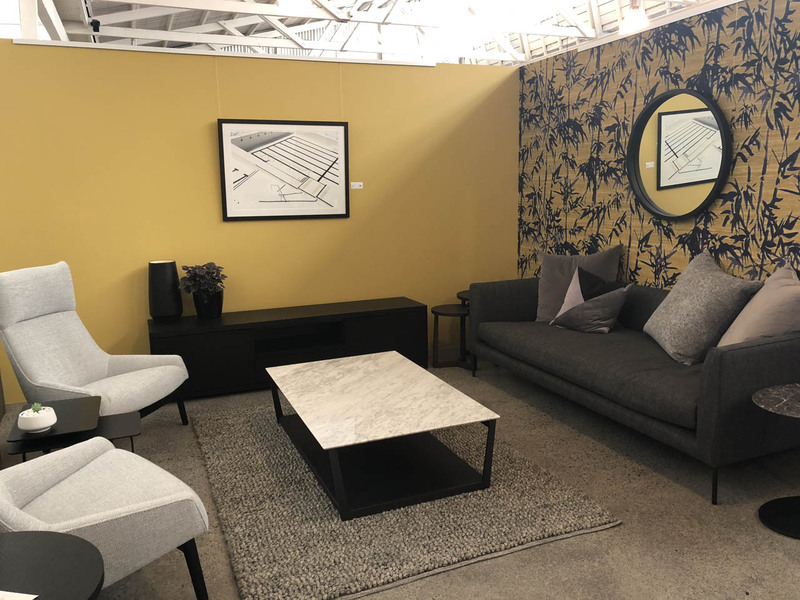 Our 'Living Room' space features gorgeous Élitis wallpaper in deep mustard behind a Wendelbo 'Sunday' armchair and the amazing Blade sofa, a modern take on a daybed. We love playing around with ideas and we love the art of hometime. These are a few ideas to inspire you to create your own perfect hometime space.